Have you ever been surprised by the power of your subconscious brain? Perhaps it took control of the wheel as your conscious mind was busy tackling a problem during a 30-minute drive home. You barely remember making your way from the office, but then your car ended up safely in your driveway. Perhaps a name escaped you at some point during your day. Despite trying your hardest to remember it, the conscious parts of your brain couldn't retrieve what you were seeking. Then, your subconscious worked its magic and presented you with the answer hours later. It had been hard at work for you this whole time, and you didn't even realize it! 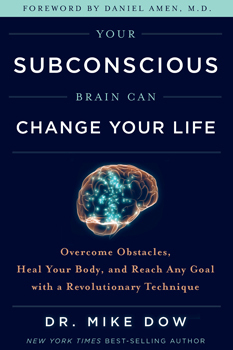 In this book, Dr. Mike Dow shares a program he created: subconscious-based cognitive therapy (SBCT) and cutting-edge tools to help you learn how to speak directly to your subconscious brain and tap into your greatest strengths, gifts, and resources. His program starts with cognitive therapy, then incorporates various types of subconscious tools: mindfulness, relaxation training, hypnosis, meditation, cognitive rehearsal, and guided imagery.